Cute and fun - these zebra caps adds some style to your Gamma cap collection! Featuring a Velcro closure, our zebra caps are made to your specifications. Choose the color that make you go "wild"! 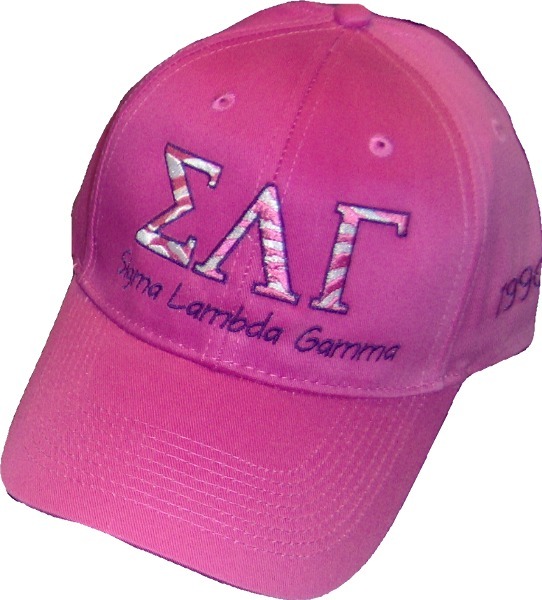 Shown: hot pink hat, white and hot pink zebra stripes, purple letter outline, and purple sorority name.